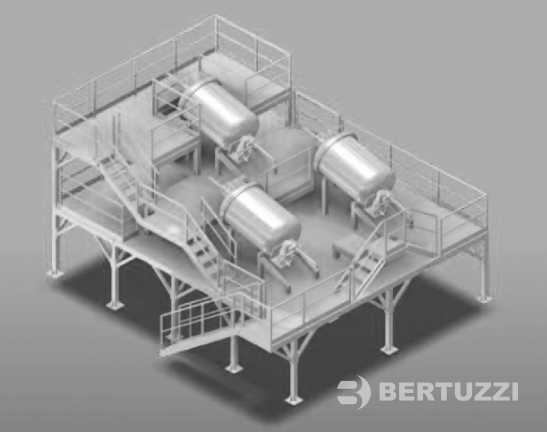 Bertuzzi has developed an extensive know-how and proprietary technology for the production of fruits preparations for yoghurt, bakery and confectionery industries. Our technology has been developed in order to minimize any mechanical and thermal damage to the fruit and in order to be highly versatile: it allows to process a great variety of raw materials into many different products. Fruits are sorted and prepared in a dedicated room. 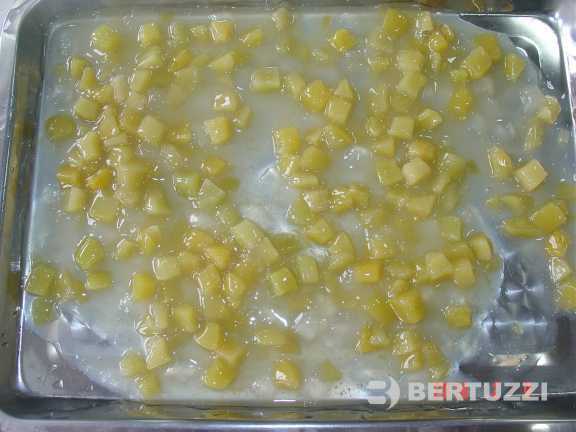 Fruits are usually available frozen or canned or in aseptic bags and may be diced if needed. Fruits that are most commonly used for fruit bases production are apricots, peaches, strawberries, berries, apples, pears, coconuts and oranges. 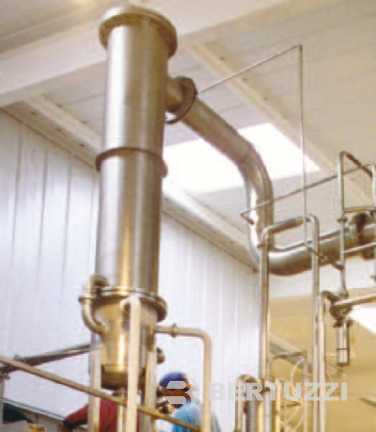 Other ingredients like water, sugar, thickeners and citric acid can be dosed, dissolved and mixed in steam heated tanks before being blended with the fruit. Fruits, liquid phase and possibly puree or juice are loaded in the blender. 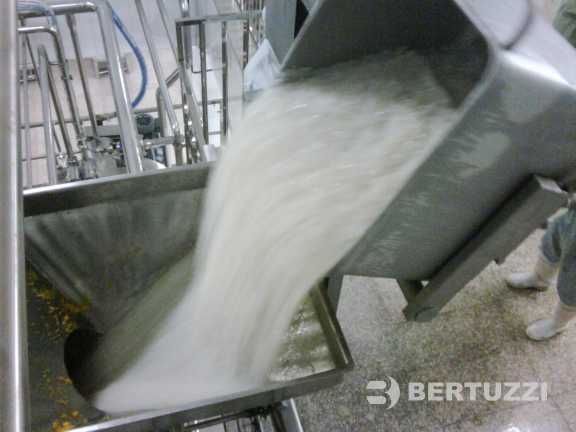 Liquid phase and puree/juice can be loaded by means of vacuum or by pump or by trolley. Trolley can also be used for the fruit pieces. 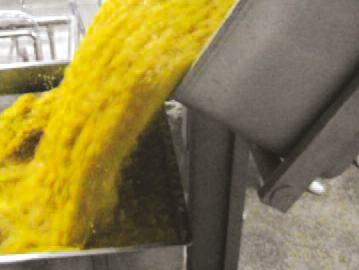 To break down agglomerate of IQF (individually quick frozen) fruits, a special device is provided in the hopper. 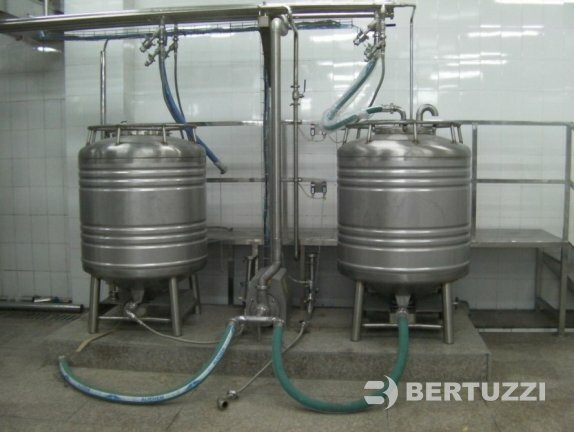 The product is heated up to pasteurization temperature and hold for the required time. 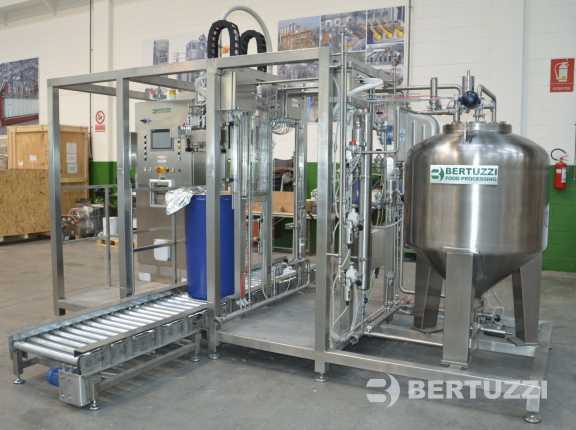 The pasteurizer can be provided of different volumes and it can work at different capacities; to avoid the product burns on the non-wetted upper part of the pan, it is foreseen a system to select which part of the jacket will operate (only bottom or bottom and side). 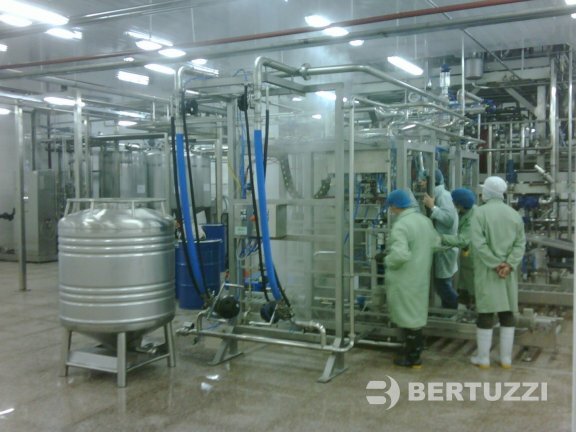 The pasteurizer is placed on a scaffolding, so when pasteurization is completed, the product is directly transferred by gravity, and also with the help of sterile nitrogen or fine filtered steam, to the cooling pan. 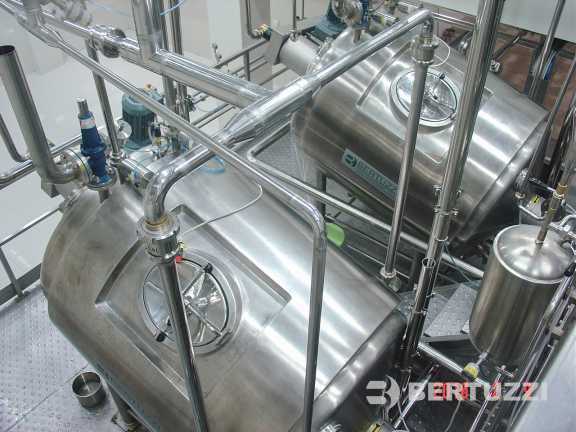 Cooling process is slower than heating, so more coolers are usually required to assure a continuous filling process. The product can be cooled down to 40°C. The coolers have a special sanitary design in order to assure the asepticity of the product to be cold filled. In this step, the thermo-labile aromas could be added at low temperature. 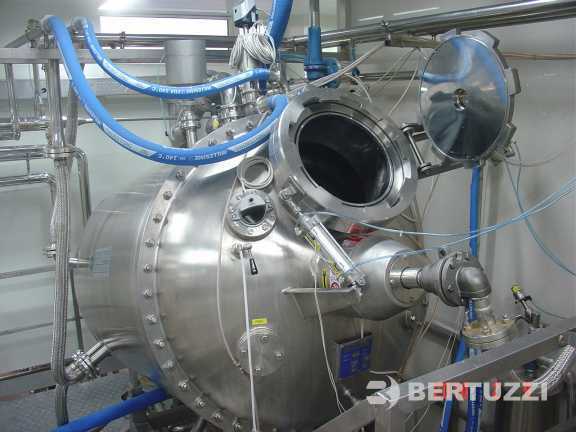 Vacuum can be used also to speed up the cooling phase. 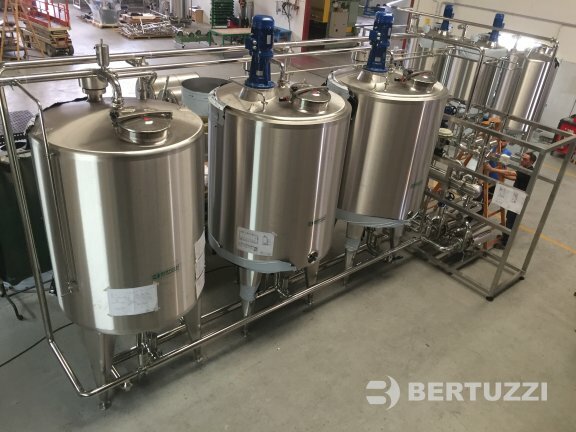 As an alternative, the system can be supplied also with a single aseptic pan that assures all phases of the batch, pre-heating, pasteurization and cooling. 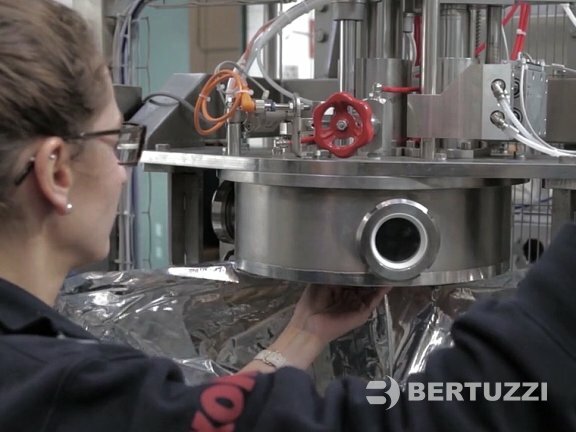 After cooling, the product is transferred again by gravity with the help of steril nitrogen or of a peristaltic hose pump (recommended for high viscosity products), and packed in aseptic bags of 5 - 25 kg and/or bags in drum of 200 kg and/or in stainless steel reusable tanks (aseptic totes). Bags are then manually or automatically packed in cartons and wrapped before being transferred to the cold storage. The shelf life of fruit base yoghurt is 3-4 months at 8-10°C without preservatives and can be extended up to 6 months with preservatives. 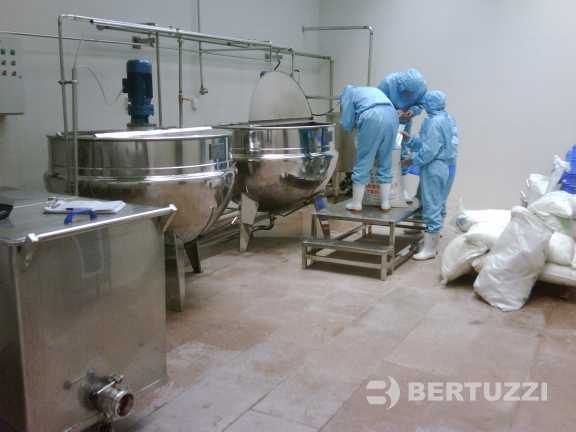 Our aseptic filler Aseptica Prima is suited for filling bags-in-drums, bags-in-boxes. 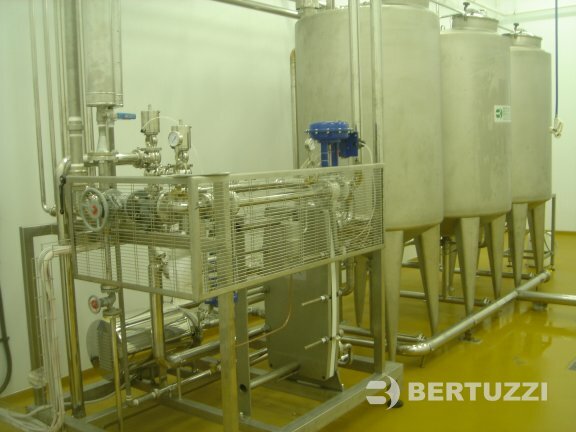 the unit is integrated with Aseptic Tank.